Can I Run After Wearing a Fracture Boot? Before I forget, I want to let you know that I created a special work sheet to go along with this podcast. If you fill it out, I promise it will help you get your doctor to slow down enough to think about how to get you out of the boot and back to running as quickly as possible. Go to DocOnTheRun.com, go to the Show Notes page for Episode #66 and download the “Fracture Boot Escape Plan.” It’s free. First of all, Vito, thanks for sending in your question! I am sorry to hear about your ankle fracture, but I am glad to hear you are on the mend! And Vito, you are not alone. The short answer is yes…you should be able to run again after the ankle fracture has healed. The trick to getting back to running is you just have to make sure that you are strong enough to avoid re-injury, and/or another injury that could set you back. So to be a bit more complete, the answer actually, is yes you should be able to run again. But safely returning to running after wearing a fracture walking boot requires several things. The first thing is that the ankle fracture, the broken bone, the torn ligament or tendon, whatever is injured, that structure has to heal. In almost all cases if you wanted to heal as quickly as possible you need to do something to decrease the stress applied to that individual structure before it will be able to heal. In some cases, typically the runner’s worst nightmare, you have to use a cast and crutches for several weeks. But the truth is for most people that’s not usually necessary. Regardless of the specific injury it’s essential to let the structure heal completely before you start running. If you don’t, then the structure may break when you start running. Obviously if something breaks again, you have to start the entire healing process all over again. That is best avoided. In the case of the ankle fracture submitted by the runner who submitted this question, I actually have only very little information, but I do know a couple of things. The first thing is that the runner had an ankle fracture which did not require surgery. Because he said the ankle did not have to have surgery and he only wore a fracture walking boot I can presume the treating doctors determined Vito had a relatively minor fracture. So it was probable stable, it was probably in good alignment and it was presumed to be capable of healing without surgically screwing it together. Those are all good circumstances. In addition, he appears to have healed very quickly because at only 6 weeks he was out of the fracture walking boot, and presumably, healed enough to start physical therapy. That also tells me that he has the capacity to heal fairly quickly. So my assumption based on all those bits of information is that Vito is a relatively healthy athlete, who has the capacity to heal quickly and likely has the discipline to adhere to a regimen that will get him back to full activity, full running and full training as quickly as possible. But this runner’s situation is not really unique. Every time a runner gets an injury and is told it takes 6 weeks to heal, they reflexively believe that means they’ll be running at 6 weeks. But that’s rarely the case. Many runners are extremely disappointed to return to the doctor for a 6 weeks follow-up appointment only to learn they will need to rehabilitate themselves before they can begin running. That sudden disheartening realization tends to demoralize runners. It also seems to confuse them. I mean, let’s face it if you’re a young healthy runner and the injury is healed why not go for a run? Well the answer to that question is pretty simple. The ankle isn’t the only thing that’s weaker. Granted the ankle is the thing that we are most concerned about since it broke, but everything else in the athlete’s body is weaker and more vulnerable as a consequence of that 6 week period in a fracture walking boot. Studies have shown that if you are using a fracture walking boot with crutches you could lose up to 60% of the strength in that lower extremity in only 6 weeks time. In addition if using crutches and a boot for only one week you can lose 17% of the strength in that lower extremity. So even with a short period of time in the boot there is a lot of weakness that develops. Well, the question isn’t whether or not you can build your strength back quickly. The question is whether or not running too soon will put you at risk for another ankle fracture or some other type of injury. It’s not just the weakness of the healing broken bone. Sitting still, perfect still, in that boot, causes muscle atrophy weakness. You also have loss of the neuromuscular connections that help your muscle groups fire in unison to help you maintain good form. We all know and readily appreciate the good form is lower stress ton your musculoskeletal system, and hence lowers your risk of an overtraining injury. So if you’re weaker, you’re stiffer, you’re uncoordinated then your chances of landing in a way that delivers forces asymmetrically or abnormally to the bones, tendons, and ligaments in your feet and legs could occur. Those abnormal stresses pounding abnormally can cause a recurrent injury in the form of another ankle fracture or a different type of stress fracture, muscle strain or tendon sprain. The longer you are in the fracture boot, the worse it gets. The sooner you start moving, the better. The very best time for you to start running is as soon as possible. As a runner you have to really push and prod your doctor to listen to you, and become willing to work with you closely to actually get you back to running as soon as possible. Every extra day that goes by, you lose additional strength, your flexibility suffers and your neuromuscular connections become weaker and weaker. So it really is of paramount importance to get back to running as quickly as possible. There should be a sense of urgency. If you doctor doesn’t seem to share you sense of urgency, then you need push that urgency on your doctor. Again this is why I created the “Fracture Boot Escape Plan.” Go to DocOnTheRun.com, go to the Show Notes page for Episode #66 and download it. It’s free. 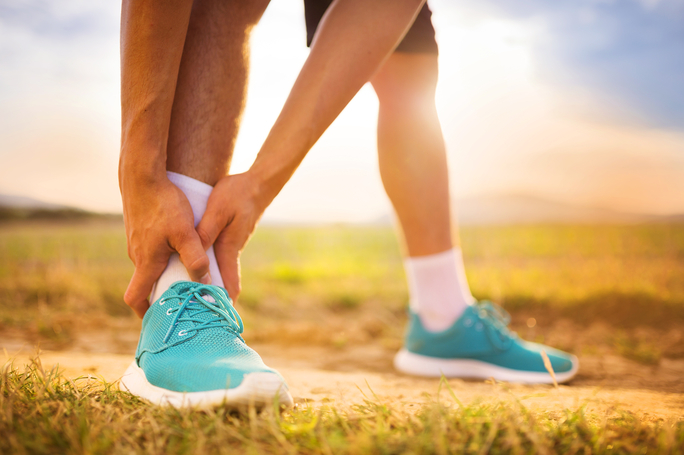 If you want to get back to running as quickly as possible after you break your ankle you have to immobilize the ankle you have to hold the ankle still and decrease the stress to the ankle enough so that it can heal. There are a number of other things you can do to speed up that process but either way you shouldn’t run on an ankle until it’s healed. “Healed” only just means it’s ‘healed enough’ and stable enough to support the activity that you apply to it. Keep in mind, all of the rehab activities are progressive. They are gradually, deliberately, progressively more stressful, by design. You go from stretching to strengthening. Then you go from strengthening to running. So it stands to reason the earlier you can start the stretching routine the sooner you can start strengthening. The sooner you can start getting stronger, the sooner you’re going to get back to running. Most doctors want patients to wait until the injured structure is completely healed before they start any activity at all. I believe this is often a mistake. Now, some doctors listening to this are probably going to think this is controversial. They may even send me some hate mail. Or maybe they pulse aside at the next conference where I am speaking. So, a disclaimer: do not be confused…you should not do anything other than what your doctor recommends. You can certainly talk to your doctor and get your doctor to help you move faster along the track but don’t just take matters into your own hands and think you can just start exercising ahead of schedule without confirming it’s okay to do so by talking to your doctor first. You have to remember there is a risk and benefit with everything we do in medicine. If you start moving too soon there’s a risk the ankle won’t heal, because you may be wiggling the fracture site, which could keep the bone from healing. But if you keep things still and use a fracture walking boot or crutches too long there’s a risk you are going to get another overtraining injury, or even a series of overtraining injuries over the next several years or decades. So you have to find the right balance for you. That balance is different for everyone. Some runners are young, some runners are older. Some runners have super healthy diets that include all the nutrients needed to facilitate healing. Some runners have nutritional deficits from dietary missteps or even gastrointestinal disorders like Chron’s Disease that prevent absorption of nutrients. Some runners have thyroid disorders. Some runners are pregnant. Some runners are stressed out and sleep deprived. Everyone is different and we all heal differently. If there is a right answer it is that the doctor should work closely with the runner. The doctor should treat the runner as an individual, with unique capacities and potential to heal. That capacity to heal should be considered carefully. The period of time in the fracture walking boot should be limited to the absolute minimum immobilization time required to let the healing take place. As soon as there is enough healing to allow for gentle stretching and range of motion exercises, the boot should be discontinued. As soon as there is enough restoration of motion and flexibility, strengthening should be started. 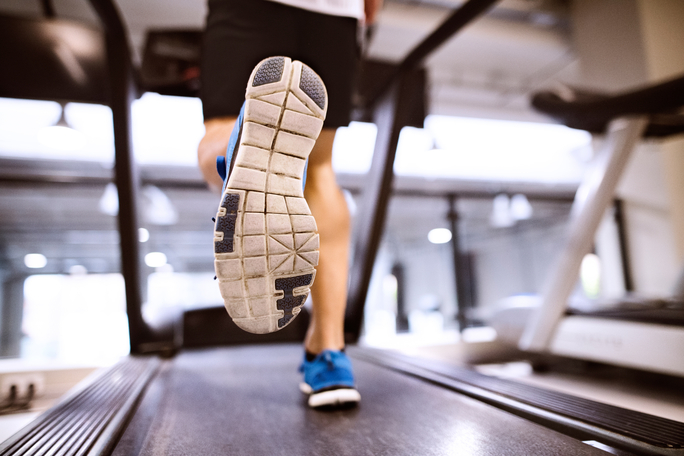 As soon as there is sufficient strength in the injured foot and ankle to allow running, without risk of re-injury, the runner should be allowed to run. It is the doctor’s job to know when these changes should occur. It is the doctor’s job to consider your unique circumstances, your age, your nutritional status, your stress level, your sleeping patterns, and your unique ability to heal. It is the doctor’s job to make decisions based on your unique situation and get you out of the boot and back to running as quickly as possible. As an injured runner, it is your job to clearly and effectively communicate to the doctor why it is so important to you to get back to running. As an injured runner, it is your job to clearly and effectively communicate how much you sleep, what you eat, how stressed out you are, and what you are doing to try to heal faster than an unfit, unhealthy, non-runner. As an injured runner, it is your job to ask the tough questions to your doctor to consider more carefully your goals, and your unique circumstances. Only by doing so will have any hope of avoid the standard treatment, find your way on to the feast-track of healing, and get back to running as quickly as possible. Go to DocOnTheRun.com, go to the Show Notes page for Episode #66 and download the Fracture Boot Escape Plan. That work sheet will help you ask the tough questions and get your doctor to think hard about how to get you out of the boot and back to running. It’s free. Go get it now.